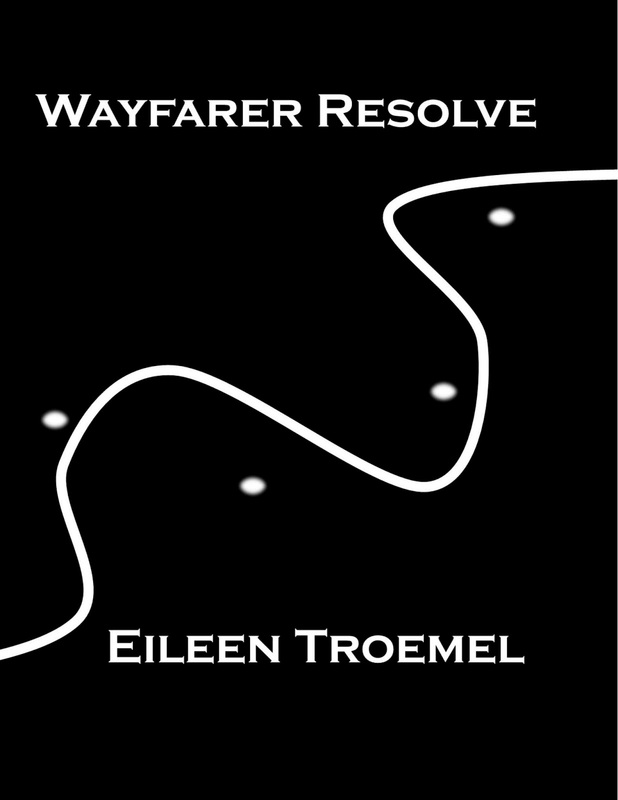 I'm really pleased to welcome Eileen Troemel to the Flight Deck today, to tell us more about her writing and her Wayfarer Series. I just have to ask this, Elieen - what do you do for fun when not writing? Crochet - I'm a nut about this. I've crocheted since I was 12 and usually ended up making my own pattern. This led to me publishing these patterns. I used to enjoy crocheting too - but now I don't have time, unfortunately, but I've checked out yur patterns and they're gorgeous. I was eight and in third grade the first time I wrote a story. I always wanted to do something with writing but was too practical to jump in when I was young to be a writer. I wrote up until I had children and then I was busy with kids - three of them in five years. As my kids grew up, I realized I was missing something. I started journalling again which led to poetry and short stories and then working on a book. This started in my late 30s. I wrote essays, articles, poetry and worked on a novel. It depends on the story. 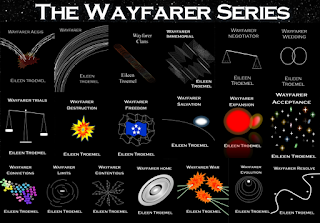 With my Wayfarer series, my daughter picked the setting (space adventure) and I picked the character. The opening scene with Adara getting ready for an interview - that is exactly how I saw it in my head before I started writing. 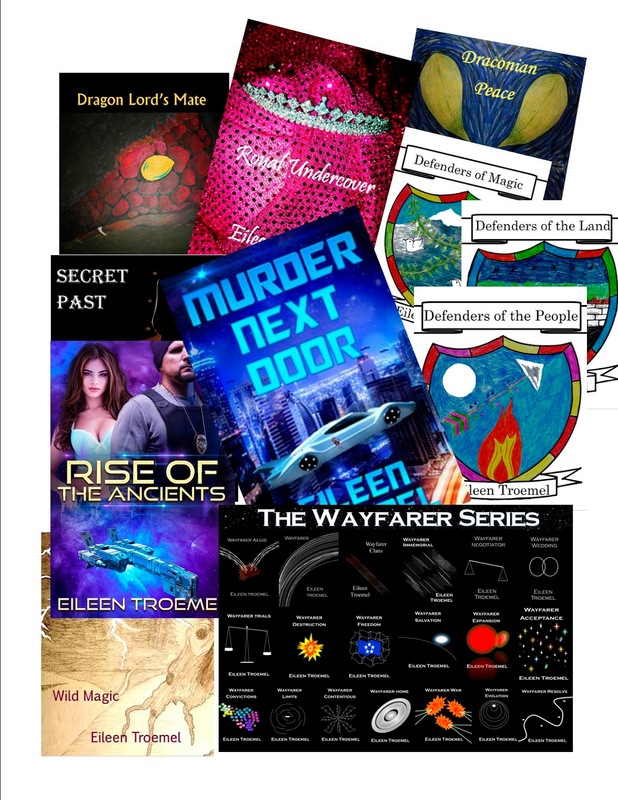 Other books start based on a concept - Dragon Lord's Mate for instance - the question in my head was how would the raider society which was prevalent in ancient times handle life if they stopped raiding but still went out each spring to "raid" or find their mates. Wayfarer Resolve is book 18 in the Wayfarer series. Without giving away too much, Adara has come to a point in her life where her personal stuff is on track and she's comfortable with her mate Decker and her growing family. But she's not comfortable with her role in the Wayfarer community. 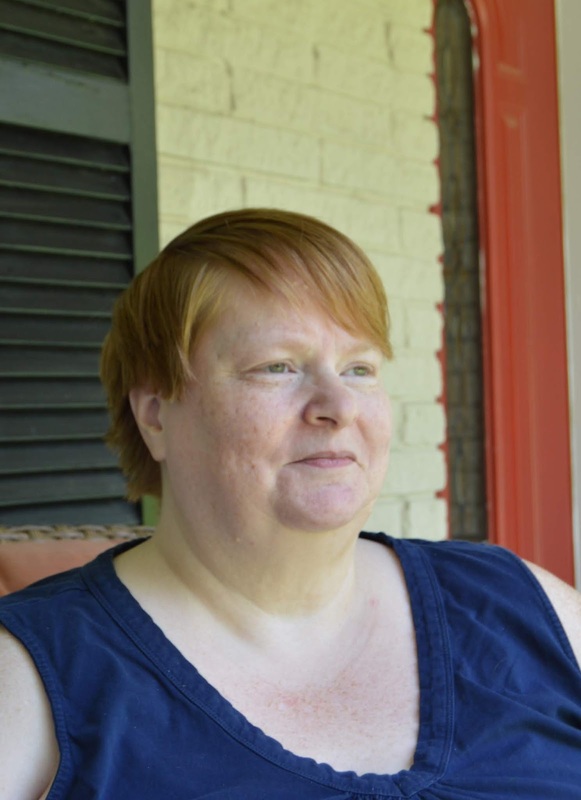 In this book, she stops second guessing herself and steps up to the roles she's in. It's about her being a strong woman but also about accepting the changes the Wayfarer community has gone through and what is key and vital to them. So, if someone were to play one your characters in a movie, which character and actor would it be and why? Hugh Jackman as Decker in Wayfarer. He has the stature and the presence to fit into the character. Emma Watson or Bonnie Wright to play Adara. Young and naïve. I think either could tackle the diversity of the things Adara goes through from enduring torture to being a loving caring person. Great choices! Have you a favourite actor/hunk? If you’ve answered question 7 would this be the same guy? John Wayne. I grew up watching him and LOVE his movies - well not always the female roles in them but they were mostly produced before the sexual revolution. Harrison Ford, Tom Sellect, Sam Elliot - they are all yummy. Oh yes, I'm a fan of John Wayne too! What have you learned about writing since you were published that surprised you the most? Once your book is published the work really begins. As a self-published author, I publish my books but I can't just let them hang out there in the hopes someone will find them. I've had to work at marketing while balancing cost versus gain or return on investment. It's not just "Look I'm an AUTHOR" It's how do you attract your readers. Isn't that the truth though! What’s you’re writing process? Has it changed since writing your first book? Most often my stories start with a scene or character. I don't plot out my stories. I write. The characters tell me their story. If they go quiet, I need to stop writing their story and move on to another. I often have two or three stories going at once. I work a day job so my writing is mostly at night after husband and daughter go to bed. I work from 8 - 4 at my day job, come home to spend time with my people. They are usually away from me by 7ish and then I write, edit, and crochet. I'm usually up till midnight. There is usually one light on in the house and a laptop on my lap while I work through whatever manuscript is in my head (or editing…) When I finish a manuscript I have beta readers I send to. Unless something nudges me, I'll let the manuscript sit until I get responses from my beta readers. Next is the start of editing (or hacking apart and rebuilding my story). First step is to do a spelling and grammar check along with searches for words I know I over use. I add page numbers (or try to remember to and am annoyed when I print without them). Then I do an actual paper edit. This can be a quick process if the writing process was smooth and easy. OR it can be a matter of hacking things apart and rebuilding the story because it needs it. If I've done a lot of rewriting, I'll do a second paper edit and repeat as needed. Classical or Celtic music - no lyrics or singing. It becomes background noise if I'm really in writing mode. I love Celtic and Classic music too - although I don't find lyrics too distracting as long as I have the volume low. Do you have a support system? Do you have a writing community? What valuable lessons have you learned from them? Some of my family have been supportive. My oldest daughter is really good at talking through plot points with me. My middle daughter is really good at making me see multiple options when I get stuck in a cliché. My youngest daughter is a science oriented person - which I am not - so she is a great reference. I've not really been part of a writing community until this year. I've joined a Facebook group and asked advice of more experienced writers. So I'm starting to build my support within the writing community. I'm not a planner. I can't give you my one year goals or five year goals. To me, success as a writer is telling a story that makes the reader laugh, cry, and hate putting the book down. If I've managed to do that, I've told a successful story. Life. I pull inspiration from almost anything. While driving to and from Indiana when one of my daughters lived down there, the landscape inspired Wild Magic. My thoughts were what would it look like after our society fell. The opening scene in Wild Magic and really the entire landscape in the book incorporates the local area (midwest). 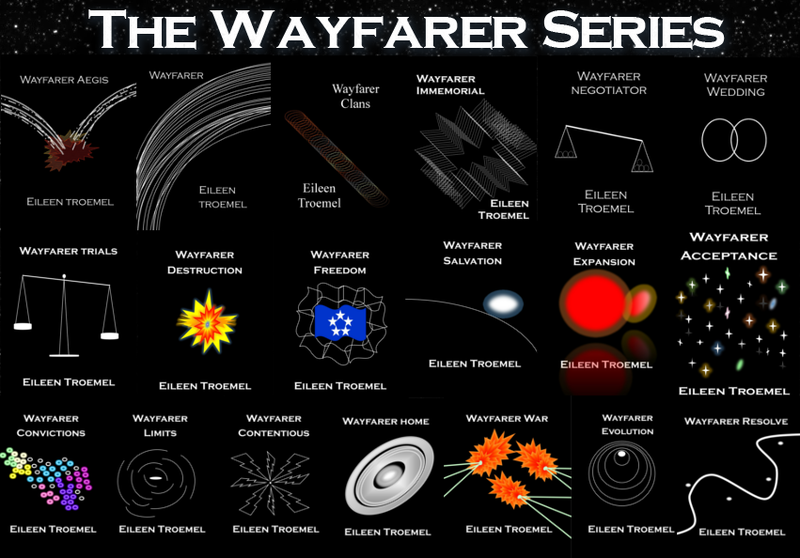 Wayfarer was inspired in part by all the space shows - Star Trek, Star Wars, Lost in Space and others - which I grew up seeing. Write what you like, read what you write, learn - never stop learning. You need to hone your craft. I'm self published. This means I have to be really good at writing, editing, business, graphic design, marketing, and a whole lot more. It also means you have to play to your strengths and know when you're going to have to pay for other services. What sort of research do you do for your books and what’s your favourite source of information? When I'm sitting in my recliner with my laptop, I have my smart phone right next to me. I've texted people I know questions (this I like best because I feel like it's a better answer from someone in the field) on accounting, science stuff, and so on. I've also Googled all sorts of topics. If you were an animal, which one do you think you would be, and why? Mythical - dragon real life animal - panther or a spoiled house cat Mythical dragon - who doesn't want to be a dragon. They are powerful and have hoards. Spoiled house cat? Well now I tell my girls when I die I plan to come back as one of their spoiled house cats. They are pampered, waited on, and get to sleep as much as they want. Plus they cause mischief and don't get into too much trouble - mostly. Ah yes, it would be quite awesome to be a dragon! Thanks so much for visiting, today, Eileen, I've loved chatting to you. One more thing, let's show the readers where to find you. Thank you so much, I’m so happy to have you featured on my blog.